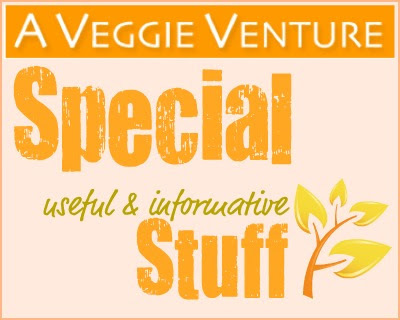 Your favorite vegetable recipes of 2014 from A Veggie Venture, just one per month, all in one handy spot for easy reference. 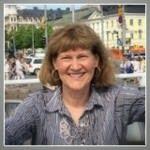 Yes, this year I'm featuring your favorite recipes, the vegetable recipes which you and I and other readers and visitors come back to again and again, all year long. But I also love all the many sources of "best of the year" lists for movies, books, gadgets, etc. So this year, I'm collecting "best of the year" lists on Pinterest. Follow me there and you'll see all the new entries over the next few days on this board, Best of the Year Lists & Favorites, the list of favorites from all my favorite food bloggers! Plus for your convenience, this year I've created a My Best Recipes for both A Veggie Venture and Kitchen Parade – extra-easy for re-pinning! 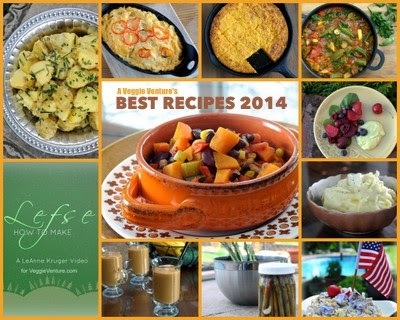 I'm busily pinning all the recipes from 2014 and will add earlier recipes, way back to 2002! So okay, here you go, your favorite recipes for 2014. But what do you think, has the "crowd sourcing" process selected your own favorites? Or has it completely missed one you loved? Let everyone know in the comments! 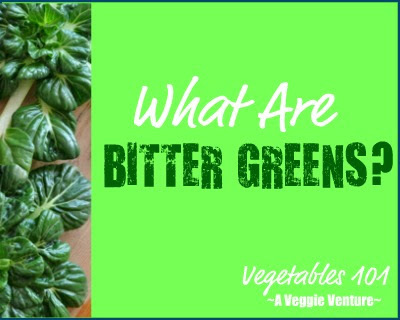 FIRST, MORE SPECIAL, USEFUL & INFORMATIVE "STUFF"
But before we get to your favorite vegetable recipes, I'd like to highlight a few posts that are more than "just another recipe". Who'd like more of these in 2015? I would! Come January 2nd – or some times December 26th – doesn't it just feel right to get back to our usual healthy diets? I throw out all the leftover Christmas cookies (yes, I really do! too much temptation) and binge on fresh greens and vegetables. It seems to take about three or four days for my body to realize, Okay, good, we're back to "normal eating again". But this sweet potato chili isn't just for January. It's hearty and so satisfying, one I crave as soon as the weather cools down. It packs so much flavor! But here's the thing, right? Buffalo chicken dips are usually ooey-gooey cheesy affairs, packed with "goodness" sure, but also totally packed with calories. For this recipe? I bulked up the dip with a surprise ingredient, one that melted into the background both texture- and taste-wise. Can you guess what it is? Even for those of us who lust for all-things cornbread, this one's special, if only because it's made entirely without wheat flour – nor any of those hard-to-find and expensive other flours that 99.99% of all gluten-free baked goods call for. This one's a keeper, for sure! Healthy. Cheap. Fast. Pantry Ingredients. Kid Friendly. Did I mention the carrots are cooked in a Slow Cooker?! This one hits so many of the "right" buttons. Plus the house smells so good when you throw carrots into the slow. And yahoo – baby carrots actually do work, for once, even though I recommend peeling your own carrots. Please note, Quick Pickled Asparagus are "quick" pickles, I also call them "refrigerator" pickles. That means they're not processed (aka "canned") for months-long storage. They do keep in the fridge for several days, up to a week say ... not that they'll last that long. During our trip to Scandinavia in May and June, I swear we ate our weight in Finnish new potatoes (and smoked salmon, but that's another story ..) and once home, it continued. Here I repeated a simple potato salad dressed in a light vinaigrette my Finnish "sister" made for us. I LOVE-LOVE-LOVE RECIPES from READERS! Some times the simplest of recipes produce the most special results. This is how I cooked corn all summer long! I, the Beet Queen, do appoint all of you Honorary Beet Princesses! Cuz really and truly, this is A Veggie Venture's recipe for all of 2014! Thank you for supporting it, one of my very, very VERY favorites of the year but honestly, one I didn't think would get much interest. Again, it was something I made again and again all summer, just roasting already-roasted beets a second time with fresh fruit. Gettin' all fancy? 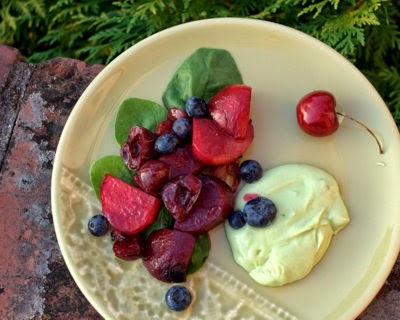 The Avocado Feta Cream is amazing. During summer, the garden pitches out vegetables and it's my job, mostly, to bat them into dinner. One way to use up a bunch of vegetables at one time is a vegetable stew, turns out I've made a real collection of recipes like that, Favorite Seasonal Vegetable Stews. 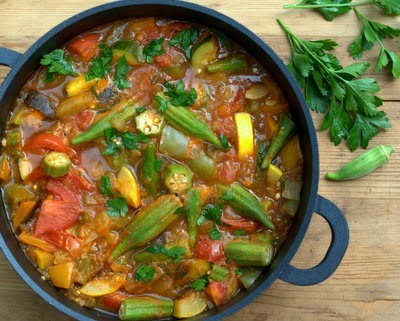 This Armenian stew is a mélange of late-summer and early-fall vegetables. Like Linus, foodies welcome October because it's fun to go pumpkin crazy. 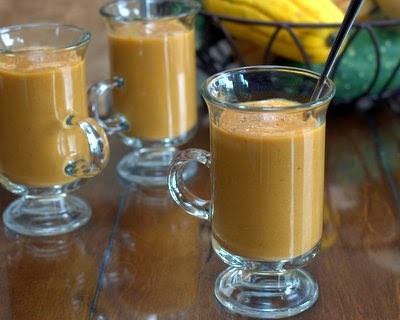 This year, I worked out several new recipes and found myself caught up with really pumpkin-y Pumpkin Smoothies, only slightly sweet but really filling. MASHED POTATO SECRETS? NO MORE! Are we of one mind when it comes to mashed potatoes? If I'm gonna eat 'em, I want 'em worth eating, not just needlessly rich mashed potatoes. Three techniques from Cook's Illustrated make all the difference, all thee could be applied to your own favorite way to make mashed potatoes too. 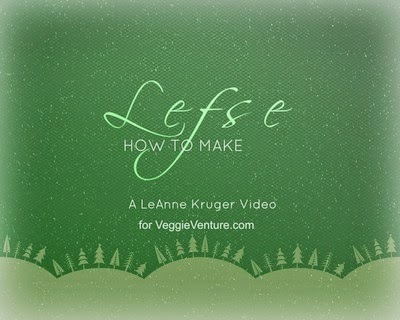 Expert lefse-maker LeAnne Kruger shows us how to make lefse, the Scandinavian Christmas specialty bread. There's a step-by-step video plus the recipe and lots of insider tips. Plus? A food heritage challenge for 2015, will you join me here? What do you think?! I hope you like the collection because it belongs to you, it's your collective choices. But if the "group" has missed a favorite recipe of yours, please do let me know! And if you'd like to explore the favorite recipes from other years, here are all the links. My vegetable of the year is okra!!! I just love it and managed to put up a batch or two. It's hard to find at the grocer's so I have to trek out to as many farmer's markets I can to find it. No matter how much I find, it's never enough for me. I don't have the real estate to grow my own. YoYo ~ What a great vegetable of the year! We love okra too, in fact, I just put some in a veggie hash with eggs this very morning! It comes from Mexico, I’m sure, but we’re seeing pretty okra in the grocery stores right now. Thanks so much for sharing your okra enthusiasm!